When it comes to your fruits and veggies you’ll be wanting to pick ones that are full of flavour and relatively dense. Pumpkin is a November favourite and extremely versatile, along with other root vegetables like celeriac, sweet potato and butternut squash. Other fabulous veggies include turnips, artichoke and kale, while chestnuts, apples, clementines and cranberries are some of the season’s best fruits. Protein sources are equally delicious in November, with venison, lamb, pork and guinea fowl being some of the most popular. While venison is a great option for the more health conscious foodie, lamb provides that rich, indulgent flavour and texture – it’s certainly worth the calories! If you prefer a fish dish, why not opt for mussels or crab? Oven-baked mussels, cooked on the half shelf and drizzled with olive oil and herbs makes the perfect main. 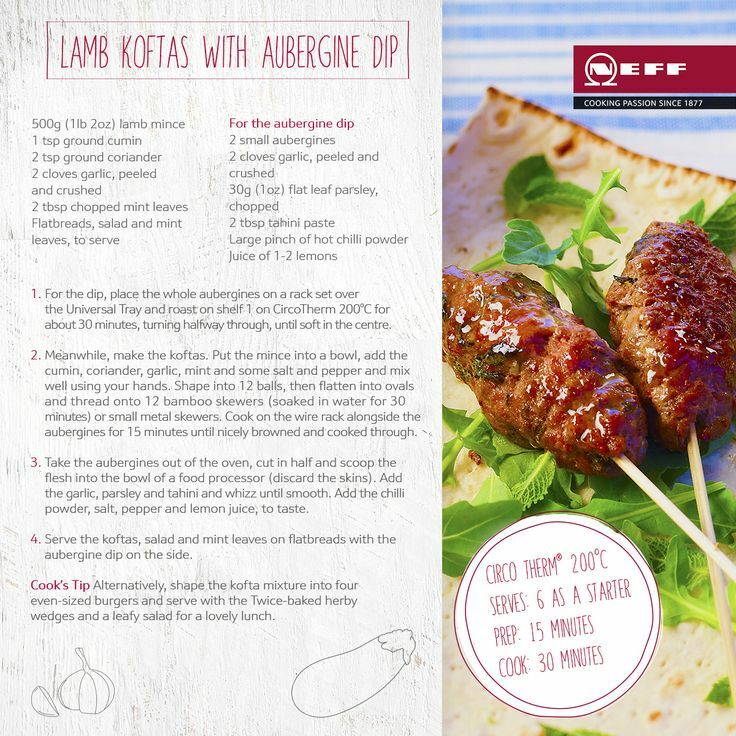 These tasty lamb koftas are the ideal finger food for your November gathering. More sophisticated than your usual light bites, this dish combines seasonal lamb with November’s best herbs and vegetables. Once prepared, pop in your CircoTherm for 30 minutes for a delicious treat. This comforting loaf is ideal for sharing with friendly and family. Serve warm and let the delicious dough melt in your mouth. 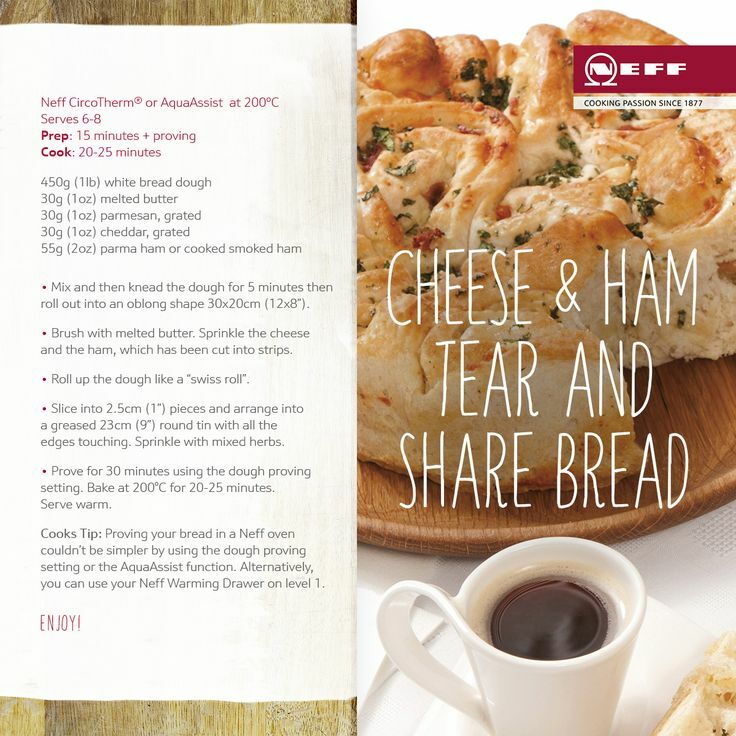 The scrumptious bread can be cooked in just 20-25 minutes in Neff’s CircoTherm. If you’re looking for a dish that’s quick, easy and nutritious you’ll love this dish. A popular alternative to the traditional Sunday roast, this one-pan meal is full of flavour and takes just 10 minutes to prep. Roast with your CircoRoasting setting for 40 minutes for a dish rich in November flavours. The autumn and winter seasons are definitely the times of year you should tuck into pudding. 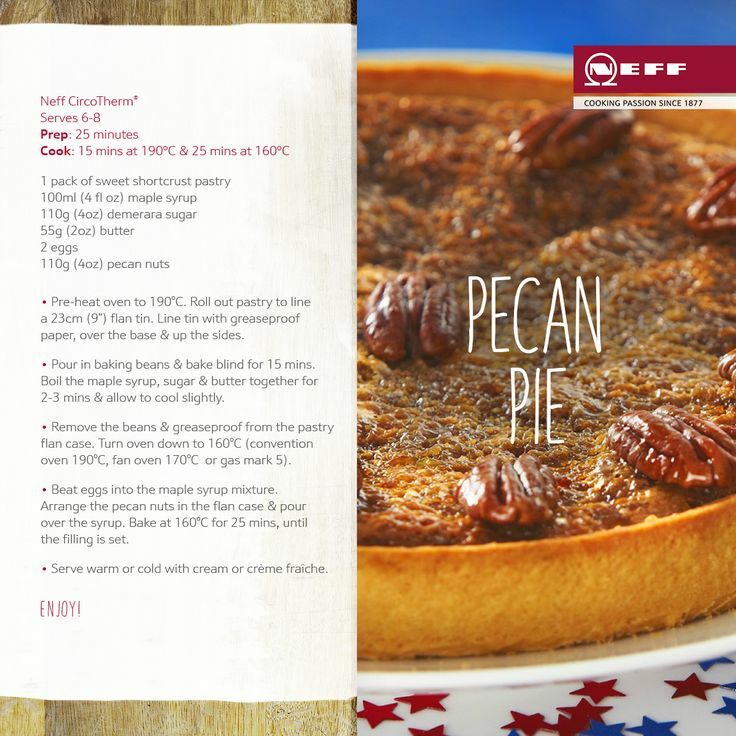 If you’re looking for something tasty, sweet and rich, why not try Neff’s Pecan Pie? Ideal for special occasions, it combines November favourites such as maple syrup and pecan nuts and can be cooked in Neff’s CircoTherm in 40 minutes. 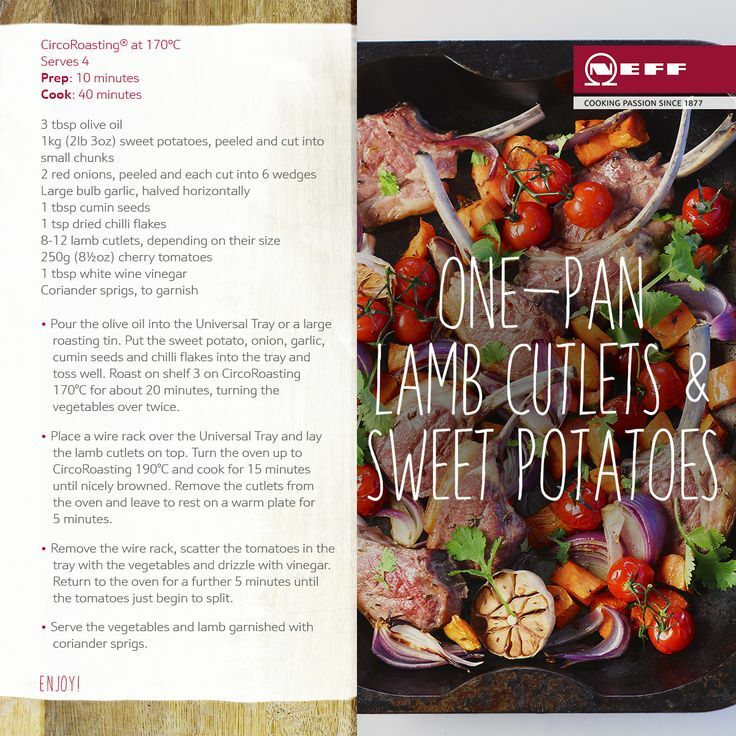 Download the recipes and try them for yourself….